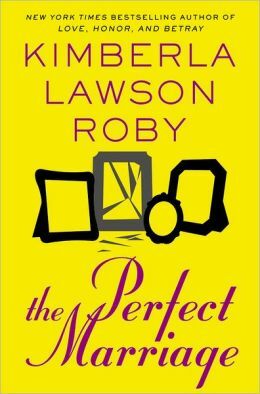 New York Times Bestselling Author Kimberla Lawson Roby has published 17 novels which include THE REVEREND’S WIFE, SECRET OBSESSION, LOVE, HONOR, and BETRAY, BE CAREFUL WHAT YOU PRAY FOR, A DEEP DARK SECRET, THE BEST OF EVERYTHING, ONE IN A MILLION, SIN NO MORE, LOVE & LIES, CHANGING FACES, THE BEST-KEPT SECRET, TOO MUCH OF A GOOD THING, A TASTE OF REALITY, IT’S A THIN LINE, CASTING THE FIRST STONE, HERE AND NOW, and her debut title, BEHIND CLOSED DOORS, which was originally self-published through her own company, Lenox Press. 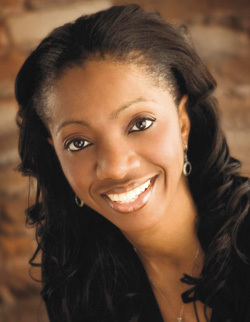 Her novels have frequented numerous bestseller lists, includingThe New York Times, USA Today, The Washington Post, Publishers Weekly, Essence Magazine, Upscale Magazine, Emerge Magazine, Barnes and Noble, Amazon.com, Wal-Mart, The Dallas Morning News, and The Austin Chronicle to name a few, and both BEHIND CLOSED DOORS and CASTING THE FIRST STONE were #1 Blackboard bestsellers for four consecutive months in both 1997 and 2000. BEHIND CLOSED DOORS was the #1 Blackboard Best-selling book for paperback fiction in 1997. Kimberla is a 2012 NAACP Image Award Nominee for Outstanding Literary Work – Fiction, the recipient of the 2006, 2007, 2009, 2010, and 2011 Author of the Year – Female award presented by the African-American Literary Award Show in New York, the recipient of theBlackboard Fiction Book of the Year Award in 2001 for CASTING THE FIRST STONE, the recipient of the 1998 First-Time Author Award from Chicago’s Black History Month Book Fair and Conference, and in 2001, Kimberla was inducted into the Rock Valley College (Rockford, IL) Alumni Hall of Fame. Each of Kimberla’s novels deal with very real issues, including corruption within the church, drug addiction, gambling addiction, infidelity, social status, single motherhood, infertility, sibling rivalry and jealousy, domestic violence, sexual abuse, mental illness, care-giving of a parent, racial and gender discrimination in the workplace, sexual harassment, overweight issues, and drug addiction to name a few. Kimberla resides in Illinois with her husband, Will. Her 18th and 19th novels, THE PERFECT MARRIAGE (January 8), and A HOUSE DIVIDED (May 7), will be released in 2013. To share your thoughts with Kimberla regarding her work, please e-mail her at:kim@kimroby.com. If you would like to schedule a speaking engagement, booksigning event, or media interview with Ms. Roby, please contact her assistant, Connie Dettman, by email atpublicity@kimroby.com or by phone at (815) 988-6604.